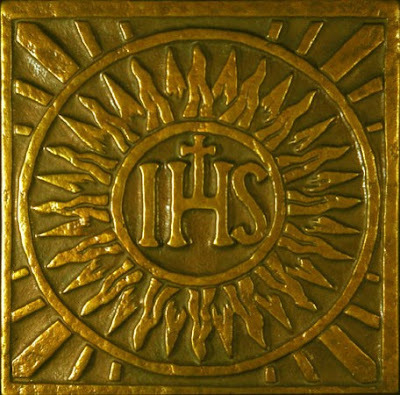 Saint Ignatius: "Where did this man get such wisdom and mighty deeds?" "A prophet is not without honor except in his native place and in his own house." Jesus Christ is the one whom the Father anointed with the Holy Spirit and established as priest, prophet, and king. The whole People of God participates in these three offices of Christ and bears the responsibilities for mission and service that flow from them. "The Kingdom of heaven is like a net"
"Then every scribe who has been instructed in the Kingdom of heaven is like the head of a household who brings from his storeroom both the new and the old." 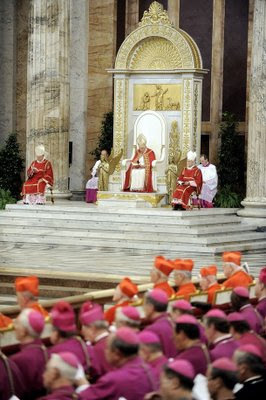 For this reason bishops, personally or through delegates, should see to the promotion of sacred art, old and new, in all its forms and, with the same religious care, remove from the liturgy and from places of worship everything which is not in conformity with the truth of faith and the authentic beauty of sacred art. "The hand that assumed clay to make our flesh deigned to assume a body for our salvation. That the Creator is in His creature and God is in the flesh brings dignity to man without dishonor to to him who made him." “I am the resurrection and the life; whoever believes in me, even if he dies, will live, and anyone who lives and believes in me will never die." Tuesday, 17th Wk Ord Time: “Explain to us the parable of the weeds"
Monday, 17th Wk Ord Time: “The Kingdom of heaven is like a mustard seed"
17th Sunday: “Where can we buy enough food for them to eat?" "How are we to buy bread, so that these people may eat?" (John 6, 5) Test question. From the beginning of time man has sought in vain, through what he finds in himself or in other creatures, to satisfy his yearning for life, an abundant life beyond death. Only in Christ can man attain at last that perfect communion with his Creator that bridges the chasm of death which has separated the two since the first sin of Adam and Eve. And yet, even after Christ has taught that it is by forgiveness of sins that we are fed with God's life and are saved from unhappiness, there yet remain the multitudes who see in God only someone to relieve their earthly longings, their temporary misfortunes in this life. They fail to see beyond the signs, the healings and the multiplication of loaves and fishes, to the reality of the eternal God by whose power these things are done. All are called to no less than total and eternal communion with God himself forever. This promise begins now in an anticipation of glory by receiving the Eucharist, the Body and Blood of Christ, the Living Bread. Our relationship with the Lord will fall short, and our happiness will remain incomplete, as long as we fail to go from the signs to the reality they signify. The Eucharist is the only perfect "sign" on earth of God for, not only is his passion and death re-presented, he is really and truly present and we do indeed receive him whole and entire in the sacred host. If we would dwell forever in God then He, truly present in the Eucharist, must dwell within us. In the Mass and in other moments of adoration we learn to see Christ present here on earth, enjoying a communion with him in order to go "beyond the veil" of this world with its hunger and thirst, war and injustice, disease and death, to dwell with him eternally in the heavenly "communion" of perfect love and light and life. Friday, 17th Wk Ord Time: "Hear the parable of the sower." 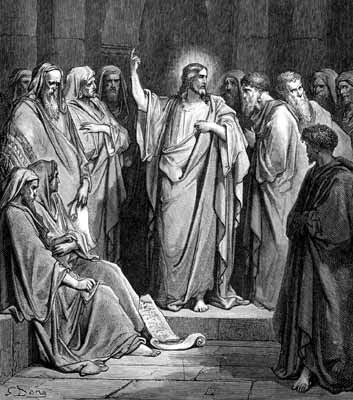 Thursday, 17th Wk Ord Time: "Why do you speak to the crowd in parables?" "Mary Magdalene came to the tomb"
The veiled character of the glory of the Risen One during this time is intimated in his mysterious words to Mary Magdalene: "I have not yet ascended to the Father; but go to my brethren and say to them, I am ascending to my Father and your Father, to my God and your God." This indicates a difference in manifestation between the glory of the risen Christ and that of the Christ exalted to the Father's right hand, a transition marked by the historical and transcendent event of the Ascension. 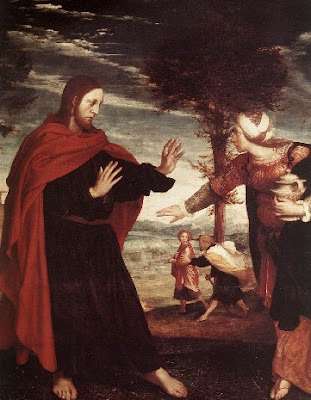 Art: Noli me tangere, Hans Holbein the Younger, c.1524, Royal Collection, Hampton Court. 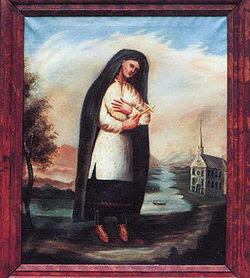 Tuesday, 16th Wk Ord Time: "Who is my mother? Who are my brothers?" Becoming a disciple of Jesus means accepting the invitation to belong to God's family, to live in conformity with His way of life: "For whoever does the will of my Father in heaven is my brother, and sister, and mother." Parents should welcome and respect with joy and thanksgiving the Lord's call to one of their children to follow him in virginity for the sake of the Kingdom in the consecrated life or in priestly ministry. Monday, 16th Wk Ord Time: "Teacher, we wish to see a sign"
but no sign will be given it except the sign of Jonah the prophet. 16th Sunday in Ordinary Time: "Rest a while." "Come away by yourselves to a lonely place, and rest a while." (Mark 6, 31) Rest is part of the cycle of our existence: those who work in the day rest at night, and vice versa; each week we rest from unnecessary labor and shopping on the Lord's Day and share in worship; each year we seek vacation time to rest from work for a period and to spend time with family and loved ones. Our lives show the pattern of seeking rest and throughout it all we look to the eternal rest of heavenly joy. The great cultural phenomenon of dissatisfaction and frustration because of life without God has erupted in physical and sexual abuse, an escalating dependence on drugs and alcohol to achieve an illusory sense of peace and well-being, an increasing fixation on the acquisition of money and material goods even through the most violent means, and the great attack on the sacredness of human life in all its stages. All these trends provide abundant evidence that something is missing in the contemporary take on life and work. Perhaps the greatest sign that human creatures have ruptured their bond with the Creator of life is the increasing custom of working seven days a week. Some people are forced to work seven days a week, and these should seek to take the necessary time on Sunday, or Saturday evening, to worship at Mass. But it is the great number who choose to work on Sunday with no thought of the commandment to rest that undermine their spiritual and physical well-being by disregarding the Creator's instructions for the happiness of we who are made in His image and likeness. Our exhaustion and confusion, "like sheep without a shepherd" can very often be traced to our own disregard for the law of rest, a universal law grounded in our creatureliness which we disregard to our own peril.
" '...he saw a great throng, and he had compassion on them because they were like sheep without a shepherd; and he began to teach them many things.' 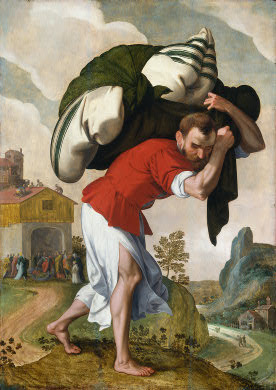 (Mark 6, 34) 'Come to me, all who labour and are heavy laden, and I will give you rest.' (Matthew 11, 28) In the liturgy our divine and merciful Lord fulfills these and all his promises. Heaven alone is the place of perfect rest and peace. The sacramental liturgy satisfies our hunger for rest through the teaching and presence of Christ, 'seated at the right hand of the Father' in glory. Through the proclamation of the Word and our sharing in the Body and Blood of the Lord in the Eucharistic Sacrifice our Sunday rest becomes a perfect anticipation of eternal rest and peace. "Faith & Family", an apostolate of the Family Life Center International, supports spouses and families who are called to help each other build a culture of love and life one family at a time. Visit the "Faith & Family" site for more information at www.familylifecenter.net. Saturday, 15th Wk Ord Time: "And in his name the Gentiles will hope." The Pharisees went out and took counsel against Jesusto put him to death. Friday, 15th Wk Ord Time: "the Son of Man is Lord of the sabbath." Thursday, 15th Wk Ord Time: "Come to me"
Jesus said: "Come to me, all you who labor and are burdened, and I will give you rest. 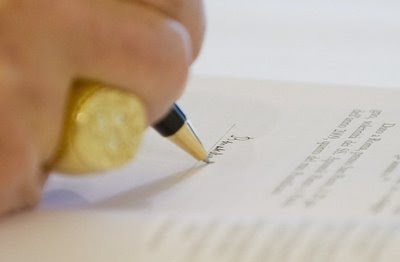 This unequivocal insistence on the indissolubility of the marriage bond may have left some perplexed and could seem to be a demand impossible to realize. However, Jesus has not placed on spouses a burden impossible to bear, or too heavy - heavier than the Law of Moses. By coming to restore the original order of creation disturbed by sin, he himself gives the strength and grace to live marriage in the new dimension of the Reign of God. It is by following Christ, renouncing themselves, and taking up their crosses that spouses will be able to "receive" the original meaning of marriage and live it with the help of Christ. This grace of Christian marriage is a fruit of Christ's cross, the source of all Christian life. Saint Bonavenure, Bishop and Doctor: "I give praise to you, Father"
God's truth is his wisdom, which commands the whole created order and governs the world. God, who alone made heaven and earth, can alone impart true knowledge of every created thing in relation to himself. 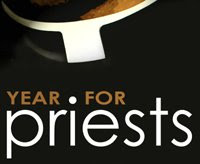 The Catholic University of America has a launched a web site dedicated to celebrating the Year for Priests. The University will also host a symposium on Oct. 6 and 7, 2009, that will explore the mystery of the priesthood in light of the Church's theological and spiritual heritage. For more information visit the CUA web site here. Monday, 15th Wk Ord Time: "I have come to bring not peace"
FIFTEENTH Sunday: "What you have received, give as a gift." "What you have received, give as a gift." The Church is the Body of Christ not just in receiving his divine life and love, but in giving it as well. Christ sent the Twelve out "two by two" and he also sends us forth. The Church is perpetually on mission to evangelize all nations. The sacramental liturgy takes its name of the "Mass" from this reality. The word derives from the Latin "missa" when, at the conclusion of the liturgy, the priest says "Ite, missa est", meaning "Go, it is sent forth." The people have heard the Word, prayed and received the Eucharist and are now prepared to take these gifts out to the world. Our everyday lives should include a continual reaching out, a going forth to proclaim the truth to the world, to call all mankind to Christ. The physical healings recorded in the Gospel are of God's power made manifest through the Apostles sent out to teach and baptize all nations. Healings of the body are signs only of the necessity of faith and the healing of the ravages of sin through the mercy of God. It is not physical blindness that shuts us out of heaven, but spiritual blindness to the evil of sin. For a world that is obsessed with physical appearances and habitually neglects the matters of the spirit, it is hard to hear the truth that God is concerned most with the appearance of the soul. The human soul in a state of grace is the most beautiful of all creatures and radiates with the beauty of divine love. Authentic compassion always requires that we care for and tend the ill and the disabled, but even more that we attend to their salvation. Knowing of heaven and the way to get there is the only sure source of comfort to those weighed down by the sorrows and burdens of this world. We meet Christ in the liturgy so that we may be sent out healed of the effects of sin, strengthened and made new by God's Word and the Body of Christ. In this way we are equipped to preach and teach the truth by which Christ is made known to the world. We love best when we speak and act with the charity of Christ himself, desiring the salvation of the world. 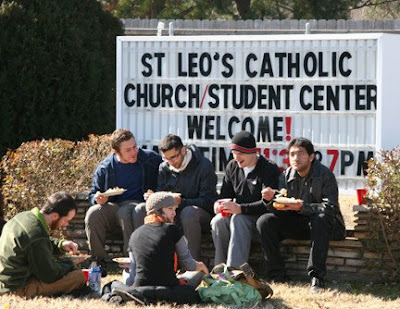 Photo: The Catholic Church Extension Society "strengthens the Church's presence and mission in under-resourced and isolated communities across the United States" doing the work of Christ today who sends disciples to build up the Church here at home and all over the world. For more information about this missionary apostolate visit The Catholic Church Extension Society website. 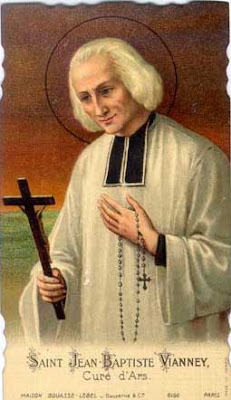 Friday, 14th Wk Ord Time: "whoever endures to the end will be saved"
"You will be hated by all because of my name"
Celebrate the Year for Priests: find out how to take spiritual advantage of a plenary indulgence connected to the Church's Sacerdotal Year here. 'The Kingdom of heaven is at hand.' Cure the sick, raise the dead, cleanse the lepers, drive out demons. Without cost you have received; without cost you are to give. Priests carry out the mission of Christ today to heal the sick through the ministries of Word and Sacrament. Celebrate and welcome our newly ordained priests this year. More info can be found here. Wednesday, 14th Wk Ord Time: "Jesus summoned his Twelve disciples"
Catholic News Service has introduced a special feature to celebrate the Year for Priests, a blog series on the Year for Priests from the perspective of priests themselves. 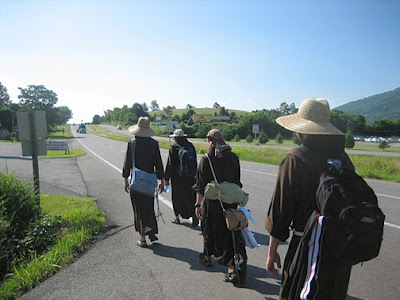 "We have several priests who have agreed to write for us about their lives and ministry. Watch for their posts in the coming weeks and months." More info can be found here. Tuesday, 14th Wk: "the laborers are few"
Parents should respect and encourage their children's vocations. They should remember and teach that the first calling of the Christian is to follow Jesus. 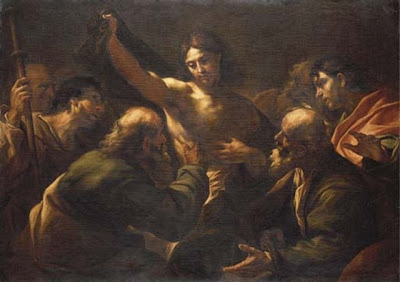 Tuesday, 14th Week Ord Time: "his heart was moved with pity"
The heart of the Lord Jesus, moved with pity for us, feeds us with the light of truth through our Holy Father who today issues a new encyclical teaching, ON INTEGRAL HUMAN DEVELOPMENT IN CHARITY AND TRUTH. Today is a day set apart for this and another reason. Find out why here. Monday, 14th Wk Ord Time: "If only I can touch his cloak, I shall be cured." FOURTEENTH Sunday of the Year: "and they took offense at him." The miracles and signs withheld from the people because of their lack of faith are a sign only of the more dire effect of the impossibility of salvation without the virtue of faith. Just as all faith comes through the graces of the Church, so also the Church, through which comes the faith by which we are saved, is necessary for salvation. The Catechism discusses the oft-quoted and much-misunderstood teaching: "outside the Church there is no salvation." Some mistakenly take this for a blanket condemnation of anyone who is not a "card-carrying" Catholic. Nothing could be further from the truth. No one is condemned for sincerely following his conscience, for this itself is a grace from God. We would do well to remember the words of St. Thomas More when, implored by his friend the Duke of Norfolk to consent with him to the headship of the Church by, and the divorce and remarriage of, King Henry VIII "for fellowship's sake" he responded, "When you go to heaven for following your conscience and I go to hell for not following mine, will you come along with me for fellowship's sake?" "Why do your disciples not fast?" as long as the bridegroom is with them?" "Thomas...was not with them when Jesus came." "We have seen the Lord." But Thomas said to them,"Unless I see the mark of the nails in his hands and put my finger into the nailmarks and put my hand into his side, I will not believe." Involuntary doubt refers to hesitation in believing, difficulty in overcoming objections connected with the faith, or also anxiety aroused by its obscurity. If deliberately cultivated doubt can lead to spiritual blindness. Art: Giovanni Battista Beinaschi, The Incredulity of Saint Thomas, oil on canvas, Christie's London. Art: Netherlandish, 16th Century: The Healing of the Paralytic, c. 1560/1590. Chester Dale Collection. The National Gallery of Art, Washington, DC. They were so savage that no one could travel by that road.They cried out, "What have you to do with us, Son of God?Have you come here to torment us before the appointed time? "Some distance away a herd of many swine was feeding.The demons pleaded with him,"If you drive us out, send us into the herd of swine. "And he said to them, "Go then! "They came out and entered the swine,and the whole herd rushed down the steep bank into the seawhere they drowned. Celebrating the Sacerdotal Year: In photo Pope Benedict celebrates Vespers at the Basilica of Saint Paul-Outside-the-Walls, Rome. Read his statement for the Year for Priests here.